The links below are Amazon affiliate links, meaning at no additional cost to you, I will earn a commission if you click through and make a purchase. All funds go towards supporting the Rob Plays channel. This does not impact my personal policy of having to have owned, read, and approved of all books that end up on this list. This is by far my favorite Disney history book. Covering the entirety of Michael Eisner's time as Disney CEO, this book takes a deep dive into the business decisions behind the "Disney decade". You won't see much about magic and joy here. This is very much about the business of Disney, but that's what makes it such a good read. 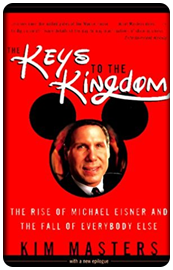 Keys to the Kingdom similarly covers the Michael Eisner era, including his time at ABC and Paramount Pictures. While a good read, I felt this book was pretty clearly biased against Eisner, so ultimately this book serves better as a supplement to Disney War than a replacement. I consider it a good second book in what I call the "Eisner Trilogy"
This is probably the oddest book on my list. 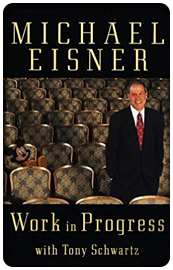 An auto-biography by Michael Eisner is bound to be biased, and to be honest this book is. However I think it offers an important balance of perspective (not to mention a personal one) when it comes to learning about his era of the Disney company, making it worth a read. With this being too far in favor of Eisner, and Keys to the Kingdom being too far against him, the two together act as great compliments. Top it off with Disney War and you'll have the most complete look at his time as CEO. 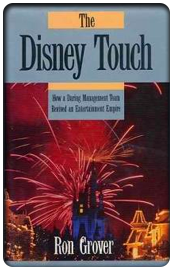 This book chronicles the worrisome period in the mid 1980's when Disney was the target of a couple of attempts of a hostile takeover, an incident that ultimately resulted in the hiring of Michael Eisner and Frank Wells. What other books cover as a chapter of the company's history, this covers as a full book. Thematically it's essentially a "prequel" to what I consider the Eisner trilogy. Similar to the way Storming the Magic Kingdom is a hyper-focused look on the takeover attempt of Disney, The Disney Touch dials in on the critical few years following the introduction of Eisner and Wells. This book covers their start in 1984 to around 1990 and details how the two turned the company around and expanded it in size. This is a great follow-up to Disney War if you want even more details on that period of the era.